International Atomic Energy Agency says it has noted no violations by Iran of 2015 nuclear deal. The International Atomic Energy Agency (IAEA), the UN agency monitoring Iran's compliance with the nuclear deal it signed in 2015 with the U.S. and five other world powers has noted no violations by Tehran in its latest quarterly report on the issue, The Associated Press reported Thursday. The nuclear deal commits Iran to strict limits on uranium enrichment and other programs that could be used both for peaceful purposes and in the pursuit of a nuclear weapon. The latest IAEA report does not explicitly say Iran is honoring the deal but mentions no deviations by Tehran, noted AP. The confidential report obtained by the news agency says the agency continues to hunt for "undeclared nuclear material and activities." Iranian officials have downplayed Trump’s threats to tear up the nuclear deal. The head of Iran’s Atomic Energy Organization said last week his country can resume high-level uranium enrichment within five days if the United States tears up the 2015 nuclear deal. 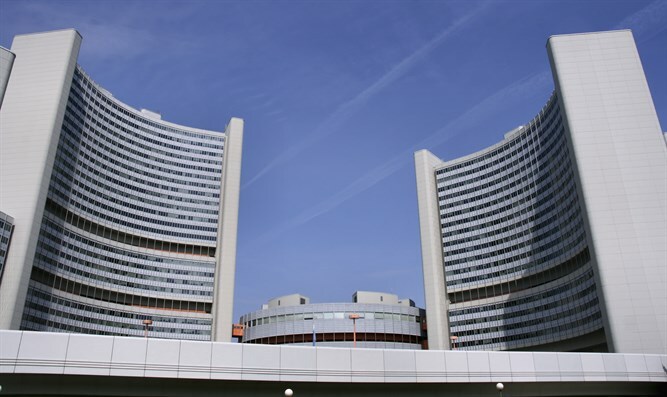 The IAEA also confirmed in June that Iran is sticking to the 2015 nuclear deal and that its stock of low-enriched uranium remained below the agreed limit of 300 kilograms (661 pounds). Iran has previously inched above an agreed ceiling of 130 tons a number of times and has shipped the excess abroad.